Discussion Who do you look up to? Almost everyone looks up to someone. Who do you look up to, inspires you, or motivates you, and why? They don't need to be on Relic Castle or be game developers, just try to keep it somewhat relevant to art/music/programming/etc communities, not singers or actors and the like. I personally look up to @Cilerba . He's a great artist and game developer. Game developer is probably going to be what I want to do, so I wish I had the skills he has. Mostly every forum I've spent any great amount of time on has had someone I want to be more like, and I think here that honor goes to Smoked Paprika. When I used to hang around the Discord he would always be at least somewhat fun to talk to and later on he gave some pretty useful feedback on my game jam entry. Also he seems to like writing, and I seriously need to bone up my writing skills a bit. If you know much about the Game Maker community you probably know of this guy named Shaun Spalding. He's released a few finished games out into the wild, which is obviously something I should try to do myself some day (if you've played EotS you'll know that it is in no way finished). He's also a way more personable programming teacher than I am. Oh, and he does Ludum Dare. Some day I should do a Ludum Dare. Honorary mention to Todd Howard, but I don't know a whole lot about him other than I drive by his office on the way to Magfest. If you've ever spent any time on the Internet you probably know who Hank Green is and I don't have to explain why I look up to him and everyone else probably should too. This is a very interesting topic that I think about almost every day, so I'll give you my two cents on it. Alright, as a person aspiring to be a film maker and a wanna-be game developer as a hobbie, it's mostly stories that I try to improve on and will be exploring in this post. Though, I am a drawing guy too (been drawing my own Pokémon since I remember, for example) and have a couple of people I look up to in this regard: there's obviously the great Zerudez and so many other creators on Deviantart, but I think the ones I admire the most are @SirAquakip and @WaterTrainer. The first one I look up to for his immense creativity and almost obsesive need to sprite and constantly be making new stuff. As for the second one, he's probably the first Pokémon fan game creator I discovered. Seeing his amazing work, hardships and finally being able to work with him has been a privilige. As a storyteller, I mostly look up to John Lasseter from Pixar (almost every director in Pixar) and Woody Allen. Lasseter is a master of emotion and shaping a film's soul in order to leave an impression in you after you leave the theater. Allen is just the best in making stories based on the normal world but giving them a ridiculous and fantastic twist that can leave me in tears from laughing. Or maybe not. @Marin is insanely productive and talented for 15, and I look up to their ability to keep up an impressive work ethic and put out consistently quality content. They also seem very modest about their abilities, which is a quality I wish I'd had when I was 15, so that's really good on them! @Rhyden has the honor of being a really cool guy and an insanely good composer - I enjoy their company a lot, and I genuinely look forward to whenever their next tracks come out. The speed at which they can put a good song together is astonishing, as well. @Pixel Profligate has gone to hell and back, it feels like, and they've come out of it all as a really mature, admirable person who's not afraid to challenge themselves and has an insane amount of patience. They've changed so much from when I first met them, and I'm really, really proud of them, and I only want the best for them and their future. As far as filmmakers go... I really admire Damien Chazelle - they're an up and coming artist who does not want to compromise their vision for any movie, in any way, shape, or form, and know how to tell an emotionally investing story that hooks you in and makes you a part of its characters' world, no matter how fundamentally flawed those characters might be. I want to tell stories like that, one day. I also really admire Taika Waititi's ability to tell a humorous, earnest story about... well, anybody. He has an uncompromising vision when it comes to people and their core, and adds a funny, but honest twist to the way he approaches them, showing you the angriest old men and the most rebellious rapscallions as they are - humans with an empathetic core. This is going to be probably a long list. 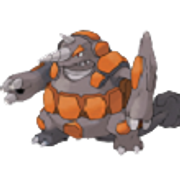 Okay so I'm going to maybe say JWNutz for when it comes to fakémon design since I prefer his style of focusing on behavior, movement, and theme. I think I should also give props to @SmokedPaprika since he actually is kinda the main reason why I'm getting better at art, he shared interesting tutorials and feedback and I'm excited to see more of the stories he shares such as the bird and the bee! @Pixel Profligate or Llama that I like to calm him is a pretty swell guy, I remembered when he joined relic and how I was impressed with his pixel art, I have to say he's one of my motivators when it comes to spriting. @Evan from Ethereal Gates since he's actually making me reconsider on how to make a game, the stuff that's shown is interesting and fun. @Kojo since his game, Spectrum really defines what I consider a fangame, I'm really impressed with what he did and all the effort put to making it. Now for people outside of the fangame community I'm going to maybe say Stephan Hillenburg since while his show has... Gone downhill... He actually kinda represents what I'm wanting to go for, he was originally a marine biology teacher and then made a show about what he taught, so I thought it's showing that you can make something interesting with what you enjoy! And that's my list! Despite in all honesty I have more people that I look up to, Mashi, Tomix, Marin... Way too many people that I kinda feel contribute to me being able to develop, so I kinda feel I don't really have one unified answer it's more of different people that I have to say I look up to. i'm really into Animal Conservation, so the (sadly) late Steve Irwin is my idol. one of my dreams is to visit his Animal Sanctuary in Australia one day. I look you and also @Luka S.J. but he leave from fan game related content. So basically I look only you now(@Marin). Trust me. I look up to the game developers of Ethereal Gates, Phoenix Rising, Fierce Melody etc. and Marin and Aki! I want to post some resources, post a game, and doing resources on deviantart. I also like AtomicReactor and when he finishes his game Kanto Stories, I'll be able to say that I look up to him 'cause he make so many pixel art, I saw all of his videos of he doing his fangame, it's fun watching it. Now apart from RC, there is just one I look up to and it's the creator of Pokémon, If I could create something huge as he did, it'd awesome! And Lucas S.J and @Marin because you bove inspired me to start someday with programming in ruby for my own Scripts. I look up to @Luka S.J. as he is a great coder and he did so much for the community. His scripts were awesome. The thing that impressed me most is the fact that he actually med an installer for his scripts and hosted a website for all this. I really wish I'd already be close to his skills already. Working as a coder would be a great thing for me to do but is still far away.